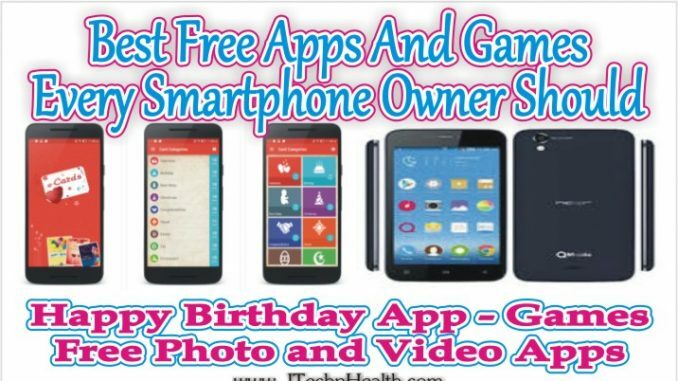 This is an absolutely free app very useful app in which you can find Happy Birthday GIF images, Happy Birthday GIF animated images and quotes. Beautiful Collection of birthday wishes using this GIF Birthday app with your friend , family ,and loved ones, send Birthday GIF Images to your near and dear one. Easy to share in via Facebook, Whatsapp and other social network. This app includes very beautiful Free funny animated birthday cards such as flowers gifs, roses gifs, candles, hearts, gifts, birthday cake gifs etc. Compatible with 99% mobile phone devices. You can download this app from link given below. 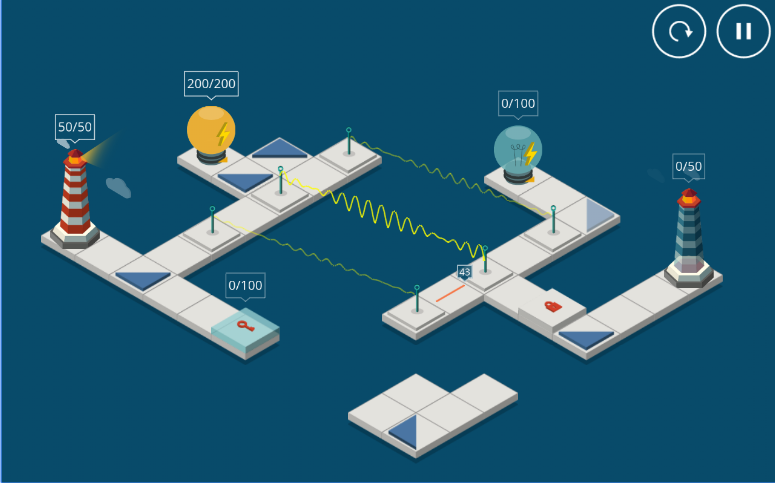 Light House is a Puzzle, based on light physics, for the most persistent and clever gamers. There is forgotten fireless lighthouse in the sea. Using mirrors, portals and other tools, deliver energy and set light to the lighthouse again. You can download this from link given below. Monument Valley is released in 2014, Monument Valley 2 is available now on App Store for iPhone, iPad and iPod touch. Monument Valley 2 tells the tale of a mother and child as they embark on a journey of discovery. The team at ustwo games drew inspiration from a variety of sources including mid-century illustration, theatre, toy design and even confectionery. The end result is a game in which every chapter is unique, every sound is engaging, and every moment is beautiful. Download this game from link given below. Mekorama is a 50 puzzle mechanical dioramas game. It include Relaxing gameplay, Charming robots, Collectible level cards, Diorama maker. Play Mekorama for free for as long as you like. You can download this game from link given below. Every person has many special days to celebrate life with joy. In that special day if you send a greeting card to your friends, they will be get surprised. Create your own custom greeting cards and send to your friends for their Birthday, Valentine ’s Day, Wedding anniversary and many more events. You can add photo in greeting cards, text your beloved names in different styles with stickers and send in online platform. Definitely they will be get surprised with your heart full wishes. In this app you can find Birthday greetings, Valentine’s Day cards, Wedding anniversary, Christmas event, Good morning and good night wishes. You can download more unlimited greeting cards from online for free link given below. Photoshop Sketch lets you create expressive drawings anywhere using natural drawing tools like pencils, pens, markers, and watercolor brushes to get all the textures and blending effects you’d get on paper. Draw with pencils, pens, markers, erasers, thick acrylic, ink brush, soft pastel and watercolor paint brushes to create artwork that can be sent as layered files to Adobe Photoshop CC or Adobe Illustrator CC. You can also launch Capture CC from within the app, create a new brush, and have it immediately appear in your Sketch toolbar. Sketch supports the latest styluses from Adonit and Wacom, as well as Pencil by FiftyThree, Adobe Ink, and the new Apple Pencil for iPad Pro. SurfEasy VPN will ensure that your app and online activity is guarded at all times by creating a virtual private network with bank grade encryption, get full access with SurfEasy VPN Free and protects your personal data and encrypts all of your transmissions. Easy to use with simple and Beautiful user interface. SurfEasy Free VPN facilitates access to websites and services free and unlimited SurfEasys your android device’s connection while you’re connected to public WiFi hotspot or mobile data networks no matter where you are in the world. Houzz is the No. 1 app for improving and designing your home. Whether you’re building, remodeling or decorating, Houzz has you covered. Contain more than 11 million high-resolution photos of home interiors and exteriors. Choose by style, location or room, such as kitchen or bathroom. Use the Sketch feature to annotate and draw directly on photos from Houzz. Wondering what that sofa would look like in your living room? Select the View in My Room feature and use the camera on your Android device to see what products would look in your space. Video Editor app is the best way to create, edit, and publish videos on Android. Get this powerful and easy-to-use video editor app for making and sharing videos on YouTube, Facebook, Twitter, Instagram, and more. Add themes, filters, effects, transitions, emojis, voiceover narration, music, and more. Within few minutes you will have some really cool videos. 30+ unique video themes and video enhancing filters, Add special effects and transitions, Add titles and captions, Add music for a custom soundtrack support Voiceover recording, Save videos and share to Facebook, YouTube and Twitter. The video editor is easy to play around with for every member of the family. Let your kids express themselves through incredible stories with voice narration and music from our royalty-free library. You can download this app from link given below.